For starters, how about watching online food videos? When Will Marston gets home from his job and he wants to unwind, it’s not highlights from last night’s game he turns to — it’s online food videos. “It’s kind of like a meditation or relaxation thing I do when I get off work,” says Marston, a 20-something from San Francisco. He has a few favourite You-Tube channels he visits, including Binging with Babish, a series that re-creates dishes from movies and TV shows, and Tasty, videos produced by BuzzFeed that often feature sped-up hands mixing together ingredients. Brevity is key. If the video time stamp is more than six or eight minutes, Marston won’t hit play. “If it’s longer than that, it’s usually more talking than actual showing of the cooking instructions. So I’ll usually skip over those,” he says. Marston is not unique in his habit of watching online food videos. 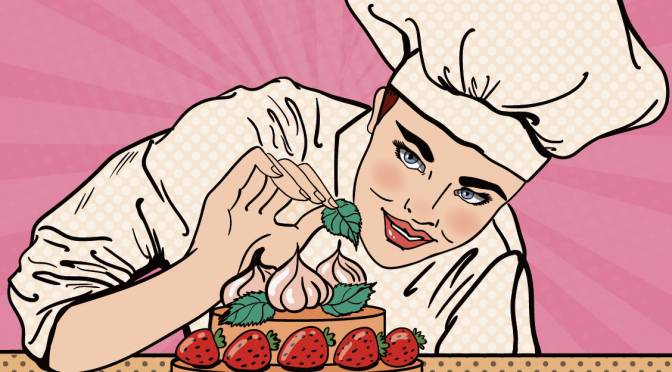 When the Food Network launched its second TV channel in 2010, it was big personalities such as Emeril Lagasse and Ina Garten who attracted viewers to their 30-minute shows as much as their calorie-laden creations. But just as Netflix has disrupted TV programming, YouTube and Instagram have found success with these online amuse-bouches, drawing millions of viewers to watch recipes being made in five minutes or less. While nearly half of all adults watch food videos on YouTube, Millennials are the drivers of online food content, watching 30 per cent more, on average, than other demographics, according to a 2014 Google study. And as a result, they are powering an unprecedented growth in online food channel subscriptions. Binging with Babish, for example, has more than 3.4 million subscribers; Tasty has more than 10 million.“(Food programming has) evolved over time,” says Potter Palmer, a lecturer in the gastronomy programme at Boston University. He says he used to spend four weeks talking about TV programming in his “Food and Visual Culture” class, but over the past decade, the number of students watching food prepared on TV has dropped. Now he spends only a week on the subject. “(In) this day and age, it’s all YouTube channels and Instagram feeds,” Professor Palmer says. This shift is something that publishers are paying close attention to. One of those publishers is America’s Test Kitchen, an independent food media company that produces magazines, cookbooks, websites, and TV shows. While ATK claims the most-watched cooking show on public television, chief creative officer Jack Bishop says they see You-Tube as a gateway for viewers to discover more of their content that sits behind a paywall. “We like YouTube because it is unlike some of the other social media platforms, where 20 seconds is considered long. It allows us to tell a story,” says Bishop. ATK also has noticed a totally different subscriber base through its YouTube channel, which has more than 511,000 subscribers. While a woman over 50 is its typical television viewer, 75 per cent of its You-Tube audience are men 18 to 34 years old, according to Bishop. “There probably are not a lot of 23-year-old guys sitting on the sofa watching public television on the weekend,” Bishop says. One of ATK’s more popular YouTube series is Kitchen Smarts, two- to three-minute features on tips like how to crack and separate eggs perfectly, how to make cold brew coffee at home, and how to make a lattice pie crust. The YouTube channels are “somewhat of a different presentation, but it is the same in-depth cooking information designed to make you successful in the kitchen,” says Bishop. The company has set ambitious goals for reaching even more online viewers. “Video is increasingly important…. It is how more and more people want to be consuming content about food,” says Bishop. But print doesn’t show any signs of going away, according to Bishop – the ATK book division experienced its best year on record in 2017, he says. Marston says he has yet to make any of the recipes he’s watched online, although he’s bookmarked several pages to come back to – at some point. “Where I get joy out of it is seeing good food being made and people enjoying it,” he says.